Are you afraid of placing an order for professional scaffolding as companies you have cooperated with have proven to be untrustworthy and unreliable? Your struggle is now over, thanks to the B&J Scaffolding Company! You can trust us, as we have been awarded with Safety Standard Compliance certificate, meaning that our designs and products are 100 % safe and that their use is not connected with any risk of injury or accident whatsoever. We would also like to inform that we have always been performing comprehensive checks of our installations to specify whether or not they would be able to withstand load exceeding set maximum thresholds, unfavorable weather conditions, and other issues that are characteristic for construction-related undertakings. What is more, in the case of designing customized scaffolding systems for our customers, we execute in-depth simulations which show which parts of the project are especially prone to technical problems. After their identification, we proceed to the improvement of such spots. 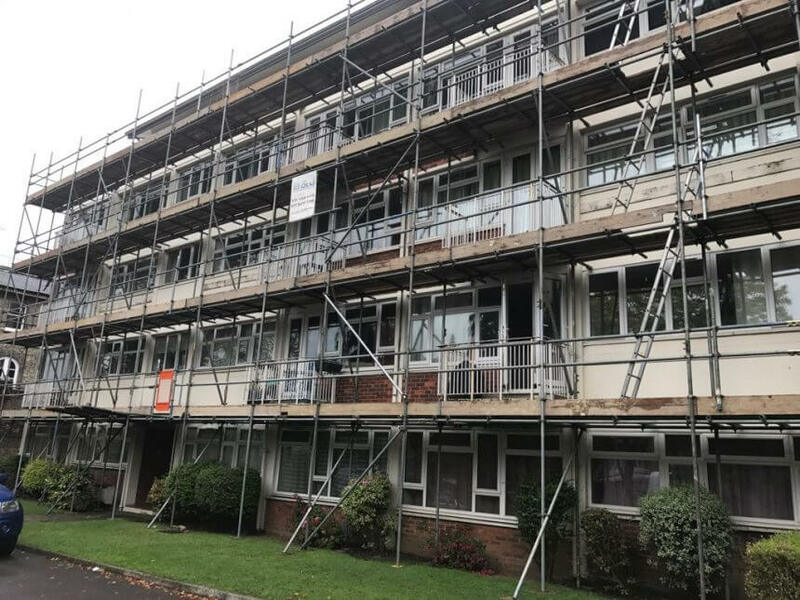 Then, the testing procedure is repeated to ensure that the undertaken works have resulted in the increase in safety, longevity, and efficiency of the scaffolding.